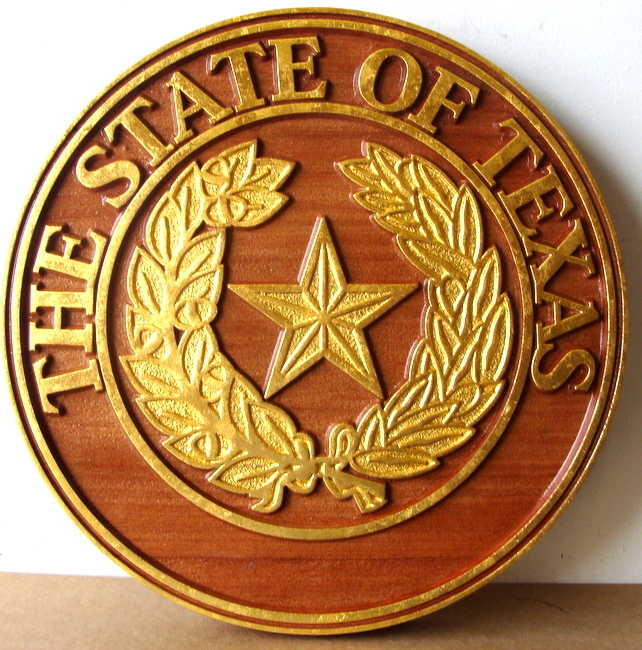 Above is a photo of a gold-leaf gilded 2.5D (outline flat relief) carved Cedar wooden wall plaque of the State of Texas seal. This seal is 24 inches in diameter, but can be made in any size from 16 inches to 60 inches in diameter. It can also be customized with other text. The shiny gold has impressive contrast against natural dark-stained woof.